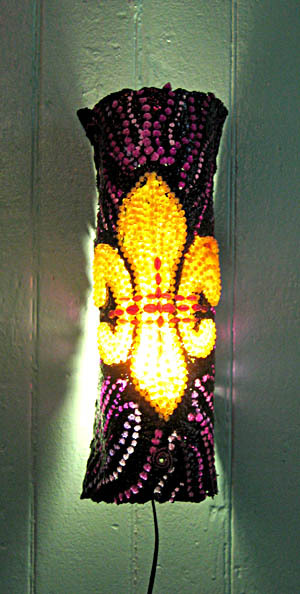 This wall light has a hint of purple and glows a golden yellow. All you need is a nail in the wall to mount this light. Size 17’ x 6 “ x 5 “ wired with black 8 foot cord , on/off switch and 9 watt CFL bulb.